Houston’s West University Place Makes the A-List! Forbes.com writer Matt Woolsey recently named Houston’s prestigious West University Place neighborhood one of America’s 15 Best Neighborhoods for historic real estate appreciation. Among the other “prime” neighborhoods mentioned by Woolsey were L.A.’s “tony” Pacific Palisades neighborhood, the ever-popular Lake Shore Drive area in Chicago, University Park located in Dallas and NYC’s Fifth Avenue. Using data from NeighborhoodScout.com (a Rhode Island-based real estate research firm), Houston’s West University Place neighborhood and 14 other “blue-chip” neighborhoods were selected based on historic home appreciation data. It revealed the real estate “hot spots” in the country’s 15 largest metros. These areas experienced the greatest total historical appreciation since 1990. The article noted these neighborhoods were “sour-market” resistant able to weather market downturns and take full advantage of growth during market spikes. What does this Mean for West University Place Home Buyers? If you’re searching to buy a fine home in Houston, this article simply validates what those of us in the Houston real estate industry have known all along – West U is a highly desirable Houston neighborhood. Remember, you’re not just buying a home in West University Place, you’re buying in a well-respected community filled with great amenities and easy access to the greater Houston area. What about Houston’s West University Place Home Sellers? If you’re thinking about selling your West University Place home, now is a great time to think about listing your Houston area home for sale. If you’re not sure about your home’s value, there are several resources available to help you determine just how much it is worth in today’s Houston real estate market. Having publicity provided by one of the nation’s most notable financial resources to validate the value of your West University Place neighborhood certainly helps! As West University Place home selling experts, Jim and I have sold many West U. homes and we stand ready to answer any real estate questions you may have. Just in case you didn’t know, West University Place is a smaller city within the city of Houston, Texas. Community founders originally chose to remain separate from the big city for tax purposes. Today West University Place provides all city services and has its own city council. Affectionately called West U. by Houston locals, West University Place is effectively a city within a city, but has the feel of a place outside the city limits. Houston real estate agents and experts all agree Texas is home to some of the nation’s most affordable markets, yet West U. continues to experience an extremely potent home value growth since 1990. If you’re a long-time West University Place resident, tell us what your experience has been with real estate values in West U.? Jim and I look forward to your comments. According to information that I reviewed on Houston Association of REALTORS Multiple Listing Service, there are currently 119 single family residential homes on the market priced from $229,900 for a “livable” 1256 sq. ft. 3 bed/1 bath home on a 8470 sq. ft. lot to a high of $2,649,000 for a 7500 sq. ft., 5 bedroom/ 4 full, 2 half bath planned new construction home on a 18,900 sq. ft. lot. The average list price per sq ft is $241.49. Forty five are for sale for over $1,000,000 and 24 homes are priced at $400,000 or less. As of 12/19/2007 there are an additional 24 homes pending under contract priced from $269,000 to $1,999,500. During the month of October 2007, 19 single family homes closed with sale prices ranging from $218,000 to $1,303,000. The average sales price per average sq. ft. was $206.05/ sq. ft. There are presently reported to be 9 townhomes actively on the market, priced from $185,000 to $305,000. The average list price per sq ft is $130.80. One was sold in November 2007 for $180,000. Houston’s feel is diverse, with both a high rise skyline and waterways like the Buffalo Bayou, which winds through the city. 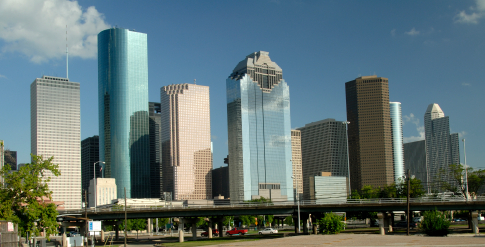 Houstonhas been transferred into a dynamic area of the city for both entertainment and residential living. Many new lofts and townhomes have been built in and near downtown and other buildings have been converted from commercial to residential use. Houston is one of the few cities that has permanent ballet, orchestra, opera, and theatre companies. Note: Due to the large volume of homes sold, I usually need two months to compile data. However, this month I will be using November 2007 data. Some of the information that I’ve used in this report was obtained from a December 2007 press release from the Multiple Listing Service department of the Houston Association of Realtors. Houston housing much less than most other areas of the country. Although total home sales decreased in November by 10.2%, the average sales prices increased over last year. The median price which is a price where half the homes sold for more and half sold for less was $150,500, a 1.7 % increase from November 2006. The average sales price was $205,815. This is a 6.4% increase over last year’s value. Townhomes and condo sales were up in price but lower in number over last year. 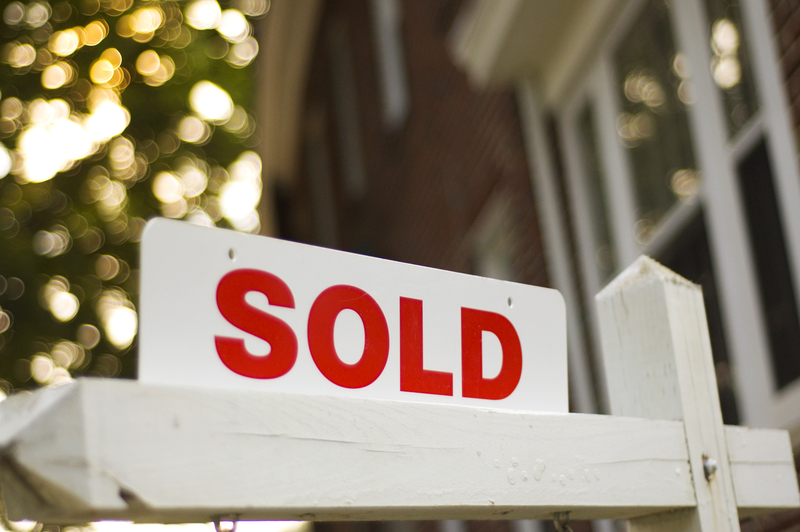 In November 2007, 498 units were sold at an average sale price of $162,371. This is a 3.6 % increase in price over November 2007, but a 10.8 % decrease in number sold. Heights structures are registered in the National Register of Historical Places. The newer construction consists of everything from contemporary designs to Victorian looking homes. Heights with an average sales price per sq. ft. of $164 in 2006. Since 1994, this figure has increased every year. The values were $150/sq ft.in 2004 and $156 in 2005. These figures were obtained from the Houston Association of Realtors Multiple Listing Service, as are the others cited in this article. There are currently 144 single family homes for sale in the Houston Heights ranging from a 3 bed/ 1 bath, 1200 sq. ft. home in need of repair on a 4323 sq. ft. lot listed for $135,000 to a 1925 property currently configured as an inn with 5600 sq. ft. and a 2600 sq. ft. carriage house on a 11,250 sq. ft lot and priced at $1,575,000. The average list price per sq. ft. is $189.13. Many of the homes for sale are new construction ones on small lots but there are a good selection of older homes. Another 35 homes are under contract but haven’t closed yet. In October 2007 there were 28 single family homes sold at prices ranging from $140,000 to $660,000 with an overall average sales price per sq. ft. value of $167.74. In November 2007, 28 single family homes sold at prices from a low of $170,000 for a 3 bed/ 2 bath,1916 sq. ft. home on a 5590 sq. ft. busy corner lot to a high of $850,000 for a new construction, 3610 sq. ft., 3 bed/ 3.5 bath home on a 6600 sq. ft. lot. The overall average sales price per sq. ft. was $187.25. This number is up from last month. The following two extraordinary Bellaire, Texas single family residences will be open Sunday, November 9, 2007. 4313 Betty –Bellaire, Texas traditional 4/3.5/2completed new luxury construction offers formals, family room, gameroom/media room – 3528 sq.ft. (architect) – $725,000. Open from 2:00 P.M. to 4:00 P.M.
5537 Huisache – Bellaire, Texas contemporary 3/2.5/2 built in 1992, offers formals, family room, study/gameroom, downstairs master bedroom and pool – 3043 sq.ft. (HCAD) – $615,000. Open from 3:00 P.M. to 5:00 P.M.
We look forward to meeting you and showing you these beautiful homes. 1945 Haddon– Hyde Park – 4/3.5/2 Formals, family room, gameroom, master on first floor, two laundry rooms, view of downtown Houston skyline – 4066 sq.ft. (architect) – $749,000. 1702 Woodhead –Hyde Park – 4/3.5/2 Formals, family room, gameroom, master on first floor, two laundry rooms – 3720 sq.ft. (builder) –$718,000. We look forward to meeting you and showing you these wonderful properties.